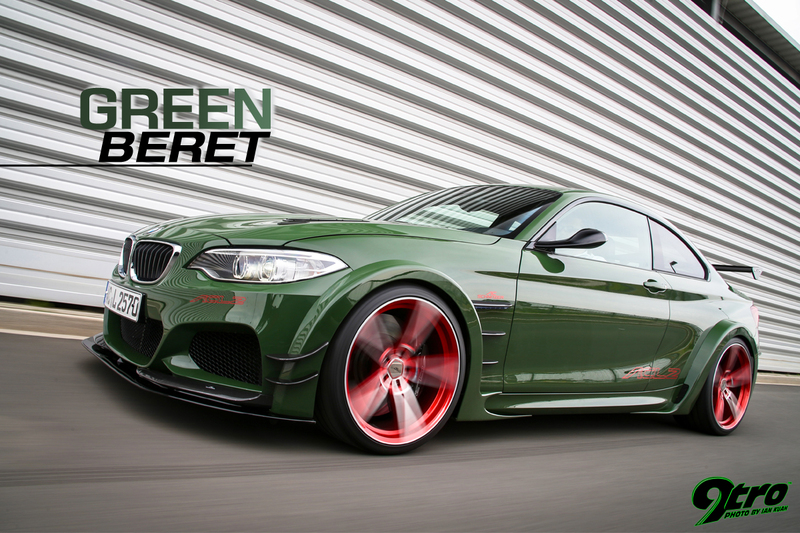 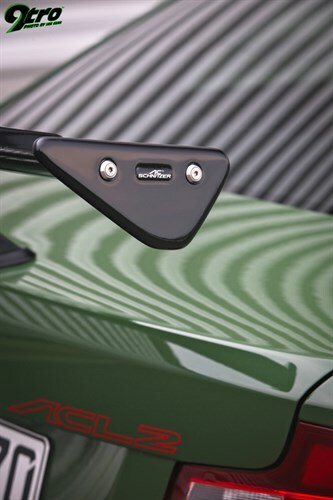 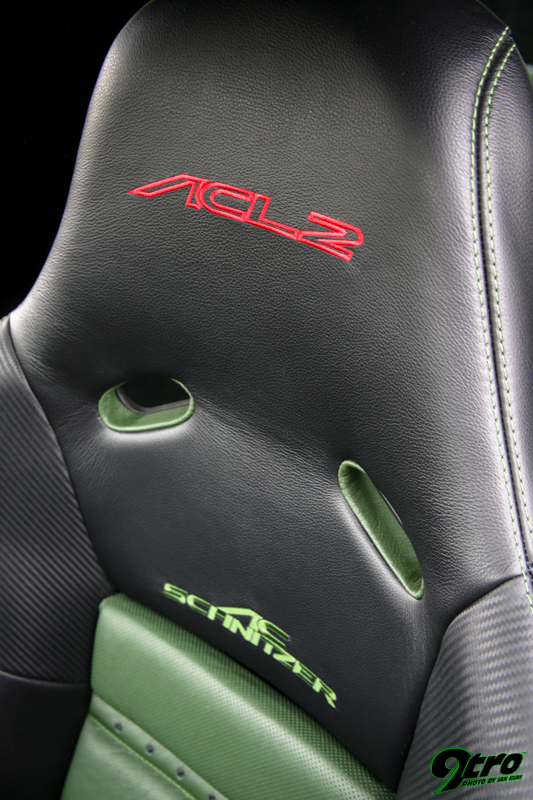 AC Schnitzer’s ACL2 is a born street fighter, ready to brawl! 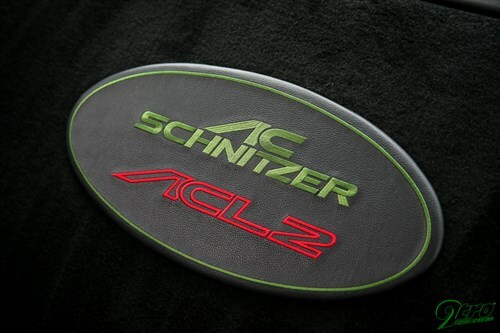 AC Schnitzer certainly wooed the crowds when they unveiled their ACS3 CLS at the 1993 Frankfurt IAA Motor Show. 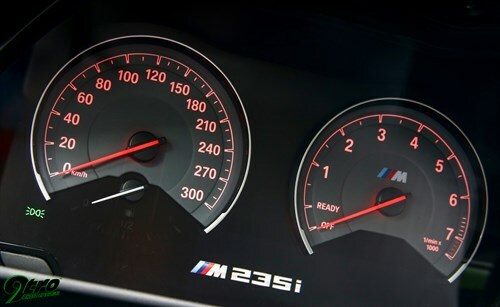 The E36 version of BMW’s M3 was still relatively new, and the ACS3 CLS exploited the latent potential of the basic car. 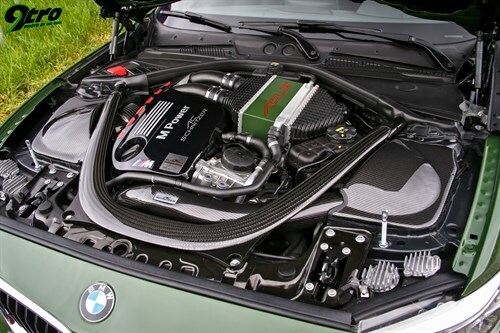 With its 286hp M-Power 3.0-litre, 24-valve straight-six S50B30 motor tuned for 320hp, the ACS3 CLS (Coupe Lightweight Silhouette) really captured the imagination of BMW enthusiasts all over the world. 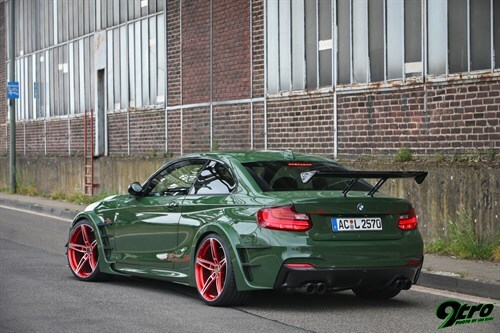 Salient exterior features of this one-off show car, painted light grey to stand out from the crowd in a sea of black, red and yellow cars at the IAA, were the pumped up wheel arches and wide rubber, spoilers, and a minimalist but exquisitely finished interior. 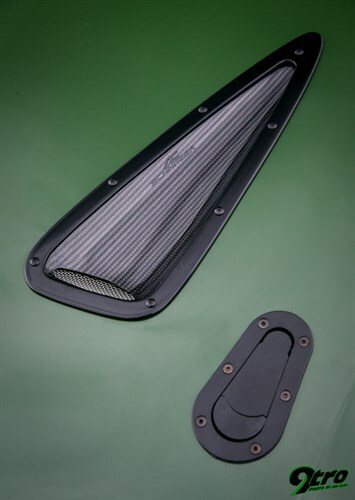 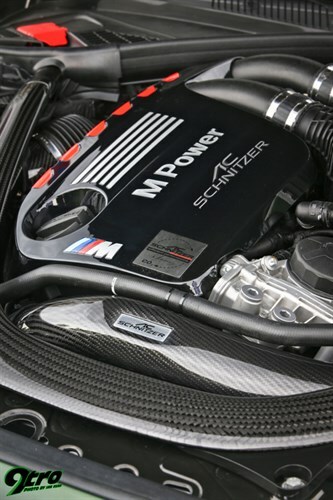 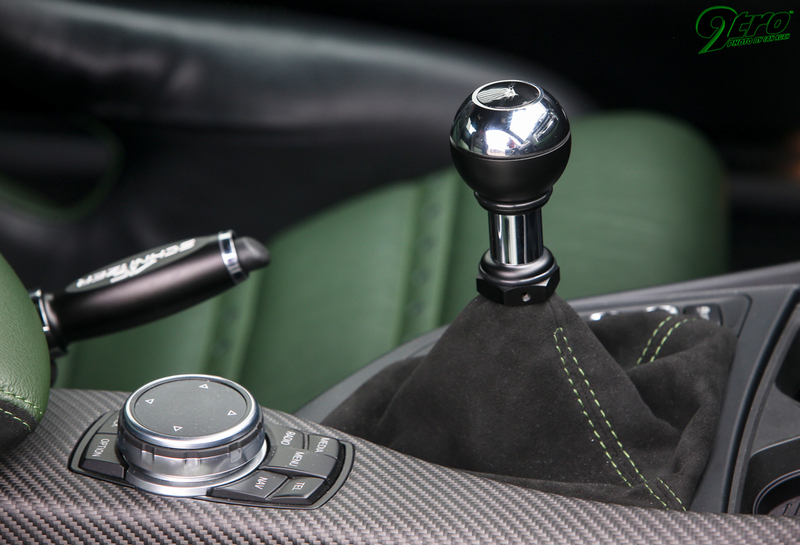 Lightweight carbon-fibre parts shaved 128kg from the stock M3’s weight, and the low and mean ACS3 CLS image set the stage for AC Schnitzer’s subsequently very successful E36 M3 tuning programme. 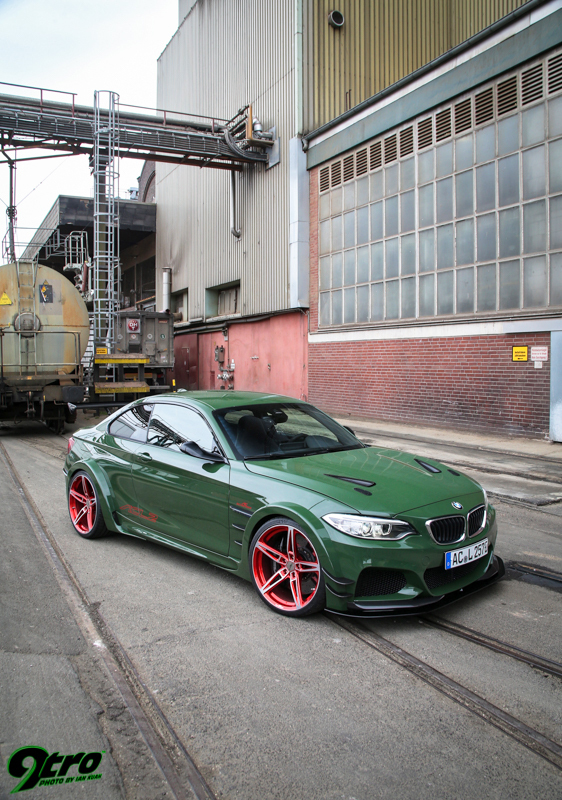 AC Schnitzer’s concept cars are never just motor show stand queens; they are developed to really work on both road and track. 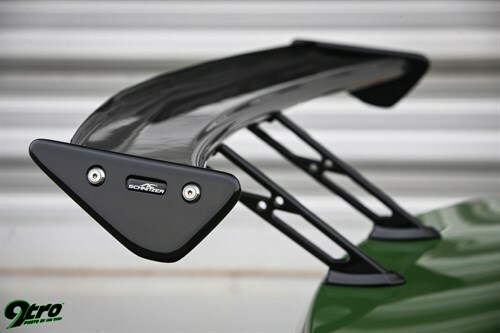 To ram home the point, following the debut of the equally distinctive Competition Green CLS 2 in 1995, the company produced a video that showed it battling and beating a track-prepared Kawasaki ZX-7RR on the Nürburgring-Nordschleife. To ensure nobody could cry foul, AC Schnitzer hired Nürburgring motorcycle lap record holder Helmut Dähne to ride the ZX-7RR. As motorcycle racing on the ‘Ring was stopped after a string of fatal accidents, Helmut’s 7:41.79 min lap time set in 1993 still stands today. The CLS2 was piloted by its builder, AC Schnitzer’s development chief and Nürburgring specialist, Manfred Wöllgarten. 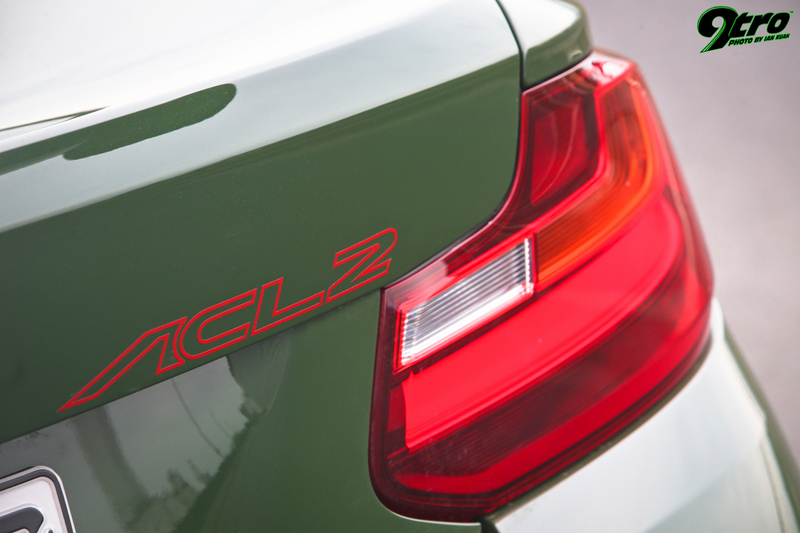 The CLS 2 was based on the improved E36 M3, which was powered by the 321hp 3.2 litre M-engine. 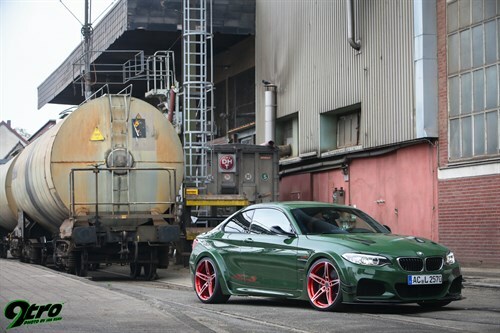 AC Schnitzer’s tuning upgrades extracted 350hp from this bigger motor, while a further 7.0kg was pared from its kerb weight with even more carbon-fibre components, making it 135kg lighter than stock. Even though it clearly gave best to the bike’s better power-to-weight ratio in a straight-line acceleration, the car’s superior braking and cornering ability meant that it was a closely run thing that went down to the wire. 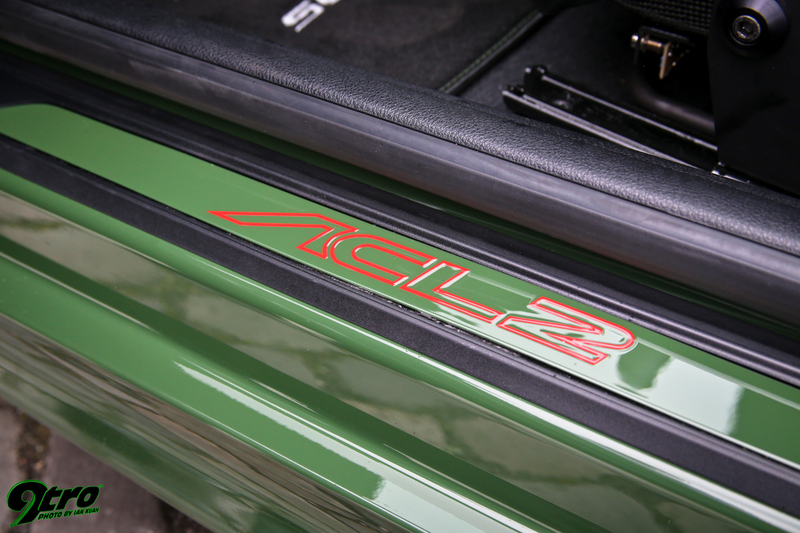 In the end the CLS2 just pipped the Kawasaki across the finishing line, further boosting the performance image AC Schnitzer was building across the globe at this time. 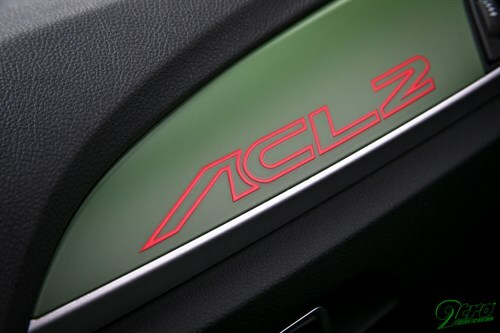 Initially, the clamour amongst die hard enthusiasts to own a copy of the CLS was deafening, but the labour intensive nature of its build and the cost of its low volume parts meant that a potential customer had to be both very keen and have a substantial bank account. In the end AC Schnitzer built 16 CLS and two CLS 2 copies for clients in Europe and the Far East. Considering how well the CLS and CLS2 gilded the AC Schnitzer lily, it seems odd that this successful phenomenon was allowed to quietly fade away into the annals of history. 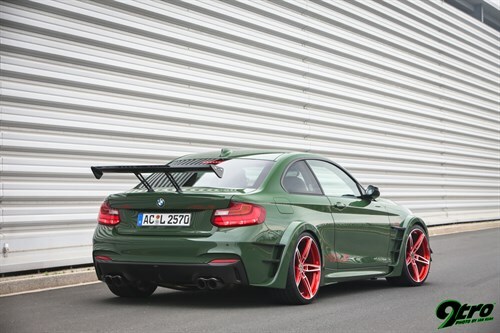 Perhaps the increasing size and weight of the next two M3 generations was one reason, and the relatively good value for money of BMW’s own limited edition hard-core M3 CSL (E46) and M3 GTS (E92) models the other? 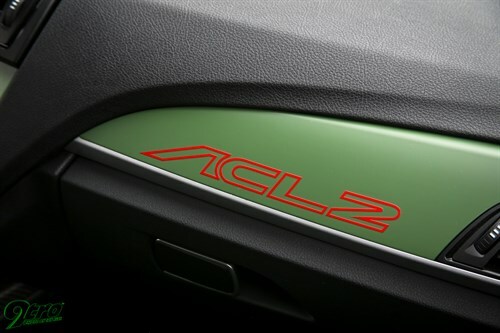 Better late than never however, and just over two whole decades later, enthusiasts were clearly happy to see the CLS-inspired ACL2 presented on AC Schnitzer’s 2016 Geneva Motor Show stand. 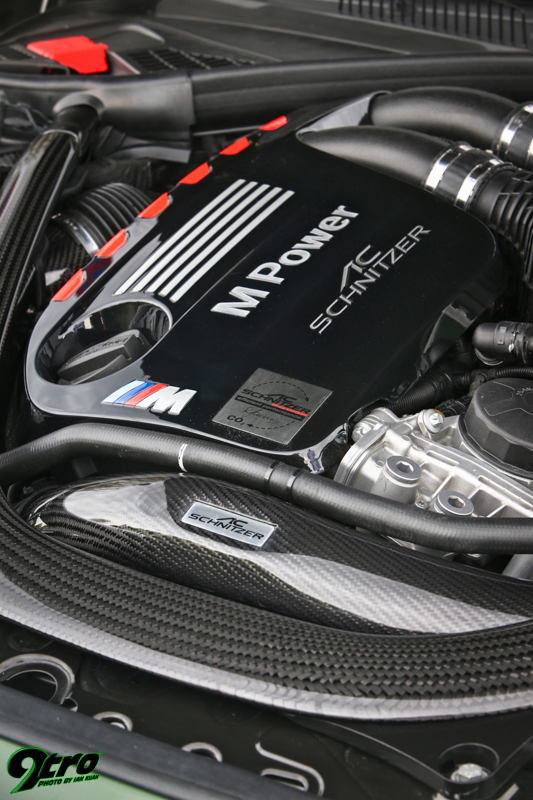 Technically, things have moved on considerably in the intervening years, and while BMW still holds the smooth and free-revving straight-six engine dear as one of its core values, the needs must pull of increasingly tight emissions standards, not to mention the drive for vastly improved fuel economy, has resulted in the adoption of turbocharged motors across the board. Thus, while the M235i Coupe-based ACL2 visibly encapsulates the form and spirit of the CLS genre, the 570hp output of its tuned M4 Coupe twin-turbo six nearly doubles that of its illustrious predecessors. 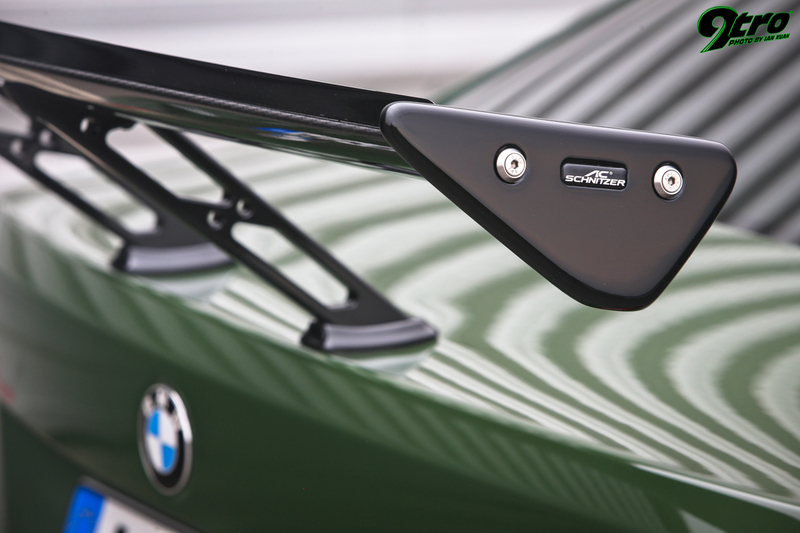 Sharing as many components as possible along with modular construction to save costs is an accountant as well as engineering-led philosophy with most car companies, including BMW.